About Georgina R. Message Georgina R.
Georgina was very proud, knowledgeable and informative about all aspects of her local area and provided us with a comprehensive tour to San Sebastian. She was very flexible to cover the needs of some of our party. We enjoyed our day immensely and would highly recommend Gina for tours of Puerto Vallartta town as well as the surrounding areas. She was excellent. She knows and loves her city. We have been to Puerto Vallarta four times before and we learned more and enjoyed it more than any of the previous visits. She is outstanding. Six of us took a tour to San Sebastián with Gina. First off, her van was very clean, she had a cooler of drinks and even stopped for fresh fruit. Gina is a lovely, very knowledgeable guide and would certainly use her on our next trip. Gina is a wonderful tour guide to the city of San Sebastian. She made many stops on the way, to share with us the local culture and customs of Mexico. She was very knowledgeable about the history of the area. She is very friendly, speaks great English and is willing to accommodate our request. I highly recommend Gina if you want to spend a great day visiting San Sebastian. Georgina is a great guide - she speaks English well and kept 8 of us ages 60-88 interested in learning about the city and its history. She did a fine job of balancing walking and driving in the tour. She was very helpful taking us to stores that locals would use rather than tourist traps. Finally, it was a sunny and hot day, so it was really nice to tour with her in her a/c van. Wonderful knowledgable driver. Man could she ever drive us safely through the Puerto Vallarta hills. She is great. We will all use her again. Thanks Georgina. Georgina is a terrific guide. 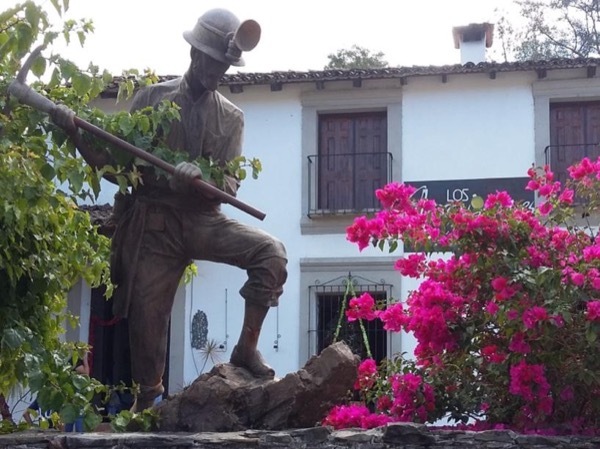 She is very knowledgeable about the history of the area and we learned a lot about Mexican culture. The drive takes you into the mountains and Gina tells you about the local plants and history. San Sebastien is a beautiful old town with a rich history and the Sierra Madras mountains offer stunning views. Georgina made this private tour such a pleasure. She asked a few questions and tailor made our tour for us. 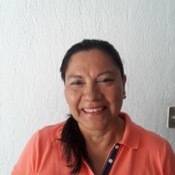 She was extremely informative with all kinds of Puerto Vallarta history. We were made comfortable with cold drinks along the way. I would highly recommend Georgina for your touring needs anytime. TOUR GUIDE RESPONSE: Thanks to you for being a wonderful people, it was a pleasure to guide you in my hometown. TOUR GUIDE RESPONSE: Thank you very much for your comments and rating in the combo tour. It was great spending time with your party. you are wonderful people!